Thanks to the growing gig economy, the need for home offices has increased dramatically. People need spaces in their homes where they can work in peace and quiet and concentrate on the job in hand. But all too often, though, home offices tend to be little more than cupboards with a computer in them. They’re not exactly the kind of places people really want to go. Jane Hughes has worked on designing home offices for nearly a decade. She says that the key to a successful home office is one that makes you actually want to be there. It has to be beautiful, has great surroundings and channels your focus and creativity. The best kind of home offices, she says, are those that do all three. Building a home office that meets the grade, however, is no mean feat. Companies have spent literally decades refining the office environment, coming up with innovations to encourage people to produce their best work. To expect the same standard from an amateur in their own home is asking a lot, especially if you have no direct experience of what makes a truly exceptional office. In fact, there are good arguments to suggest that the current corporate model isn’t actually the best. Companies try to cut corners and reduce costs wherever possible, finding compromises which might not be the best thing for their workers. They’re willing to try to make the working environment better, but they only go so far. But you, as a homeowner, can go as far as you like. Perhaps the best home office out there is the garden office. No, not literally in your garden. But an office that looks out over it. If you’re building a home office in the backyard from scratch, you’ll need to investigate earth moving equipment hire. But so long as what you’ve got planned is no taller than a single story, you’re usually allowed to build a garden room without having to apply for special development permits. It’s still worth checking first, however, since retrospectively gaining permission for a building project can be expensive and doesn’t always work out the way you’d like. The perfect garden office, however, is a lot more than a summer house with an extension cable running to it. It should be properly insulated for starters. And it should be looked over by an electrician to make sure that the power couplings can cope the with the current. It should also be light and spacious – something which summer houses tend to be good at in the summer when their doors are open, but not so much in the winter when they’re closed. To get extra light into your garden office, and to make the whole thing worthwhile, try putting in skylights once the basic building is constructed. 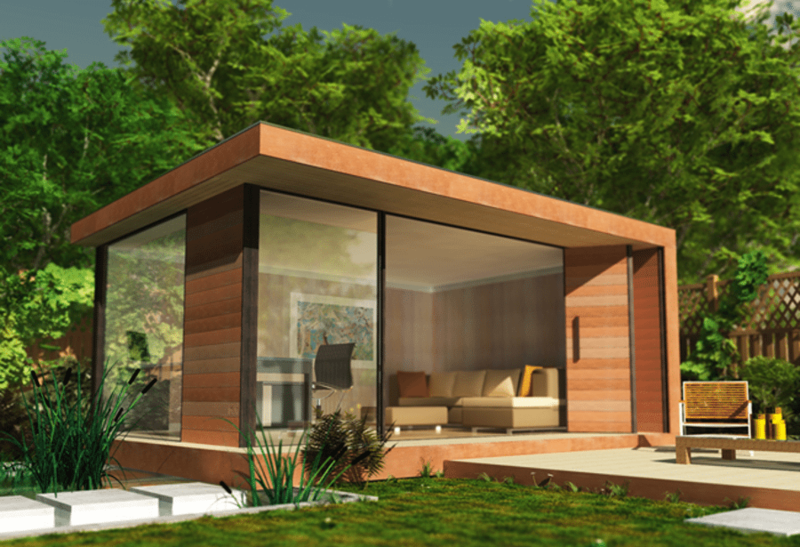 Paired with double-glazing and underfloor heating, your garden office could be somewhere you go all year around. Just make sure it’s secure: you don’t want to lose your office equipment or data to criminals in the middle of the night.